The Robur I-range is an ideal range of safes for the home or office. Compact in size, it combines burglar and fire resistance, offering you the best of both worlds when it comes to protecting your valuables. Certified by the ECB-S, the I range meets the EN 1143-1 Eurograde I security standard. To achieve this, the safe must be capable of withstanding various attempts at penetrating its walls and door using tools such as hammers, cutting torches and drills. Meanwhile, the lock is tested to the EN 1300 standard and is also subjected to expert testing and attempts to bypass it. 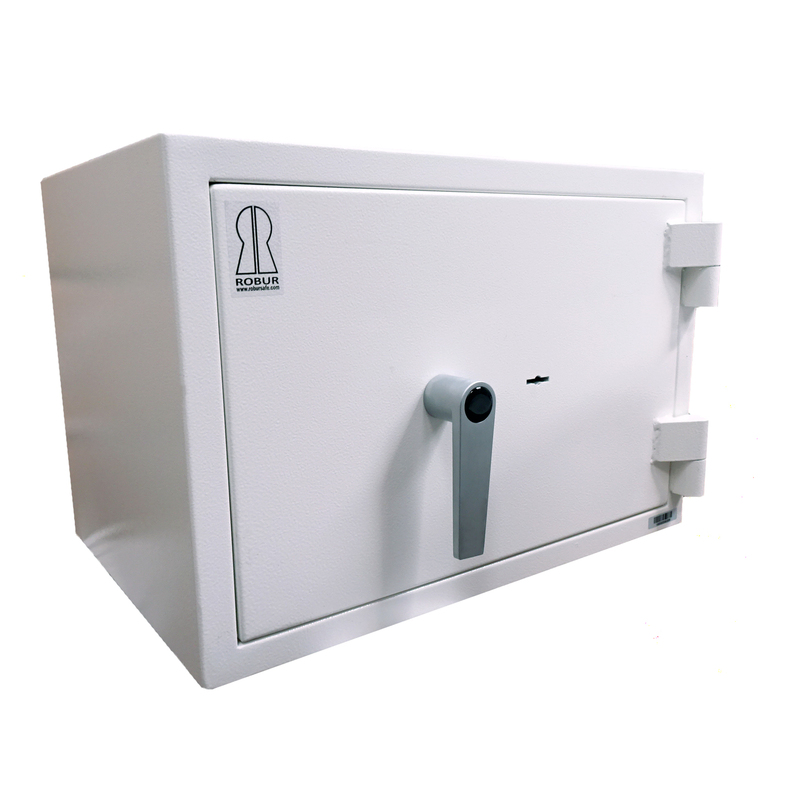 Ideal for storing small, valuable items, cash, important documents and more, the range provides up to 30 minutes of fire resistance. The safe’s RAL 9010 off-white powder coat paint finish will suit any environment perfectly, whether at home or in the office. Its relatively small size makes the safe unobtrusive and easy to conceal. A high security key lock is fitted as standard. 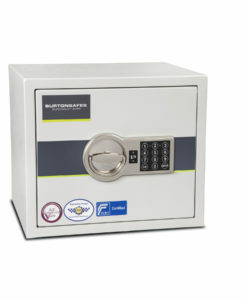 Also available is the electronic lock model, with multiple user codes with a master code, allowing complete control over your safe. Included as standard to the electronic lock is a time delay function (maximum 99 mins) and open window function (maximum 19 mins) to allow you to effectively manage who has permissions to access the safe, and at what times. The I-range is the perfect range for storage of high value items and currency.